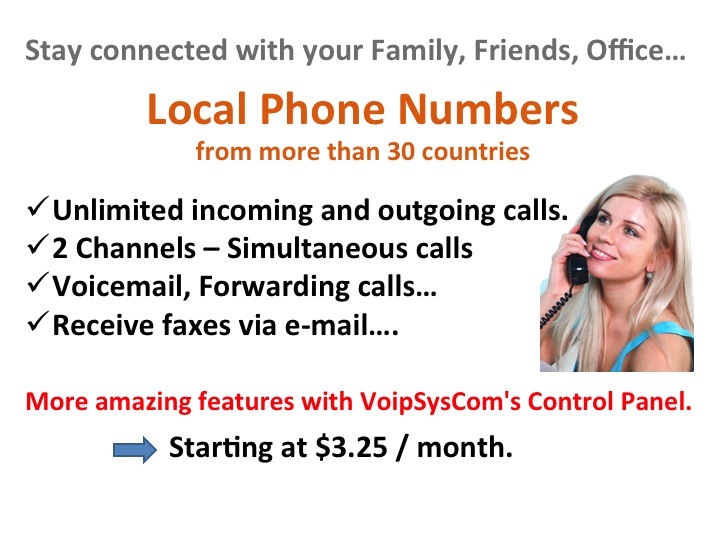 Stay connected wherever you are in the world: Local Phone Numbers * Receive faxes via e-mail * Unlimited incoming and outgoing calls * Mobile Phone Free Roaming * More amazing features with VoipSysCom's Control Panel. Starting at 3.25 US$ per month. 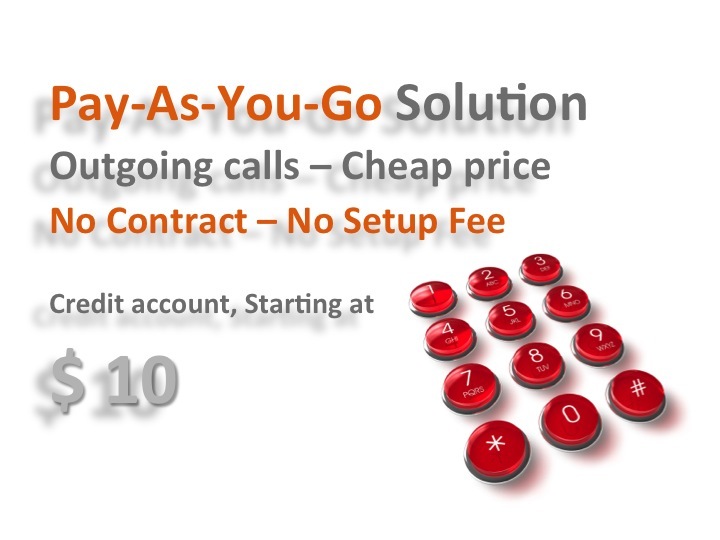 Call anywhere in the world at the lowest rates possible. Cheapest International rates. No connection fees, No minimum call times.